The benchmark import price of 62% iron ore fines at China's Tianjin port on Friday dropped $2.70 or 2.3% to $114.20 a tonne. It was the worst one-day decline since mid-August when the steelmaking raw material was trading above $140 a tonne. The iron ore price is down close to 15% since the start of the year and the lowest since July 1 2013. The globe's most active steel future – Shanghai rebar – fell 2.5% this week trading near the all-time low for the contract. China's central planning body, the National Development and Reform Commission, this week kept its target for economic growth at 7.5%, but there is widespread doubt about the meaningfulness of this number which is open to manipulation. More direct measures of activity in the world's second largest economy including rail traffic, electricity usage and factory conditions point to a continued slowdown. The iron ore market is not only being negatively affected by the macro-economic picture – China's steel industry, responsible for 48% of global output, is being pressured from all sides. Another feature of this week's strategy laid out by the powerful economic planning agency is what the Chinese premier Li Keqiang called the "war on pollution". Steelmakers are a prime target for the programme of plant closures and strict new environmental rules. 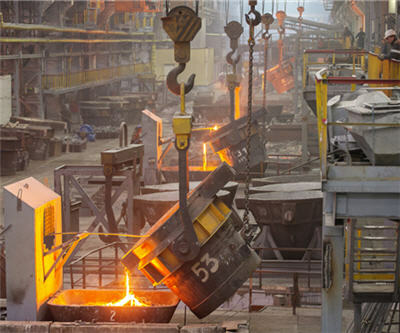 Already authorities have forced smaller steel firms in the worst affected provinces to idle mills and will force outdated plants to close down entirely. Despite crude steel output dropping 11% from its 2013 peak, finished product inventories along with iron ore stockpiles have reached record levels inside the country. A silver lining for iron ore exporters in Australia, Brazil and Africa is that the clampdown on pollution and lower prices will have a greater impact on domestic Chinese producers. The Chinese government, fearing too great reliance on imports, has artificially boosted domestic production of iron ore by by restricting small blast furnaces' access to high-quality imports. But this has only exacerbated the pollution problem and at the same time drove up costs for steelmakers because domestic ore is of such a low quality – 21.5% iron content. High cost Chinese miners quickly exit the market when prices fall below $120 a tonne leaving more room for exporters. While China's steel industry and iron ore mining will look very different a few years down the line, the country's reliance on imports will only continue to grow.